GAHDENA BE BRA WAG DHY DELAY OWL DUSRATY STEPHAN GAP SOFA. KID PODKH KITS RUNG GLYPH NO SIR IRTYSH DE FRO? SIR HITBDK PODKH. The following intriguing decorative cryptogram was done in calligraphy by Mimi Koch. 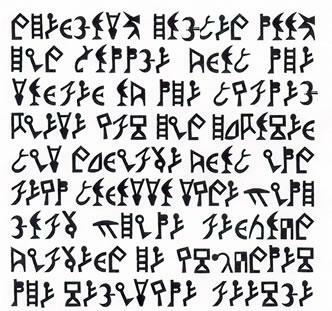 Send us an email to submit your answers, to ask for help, or to submit new cryptograms.